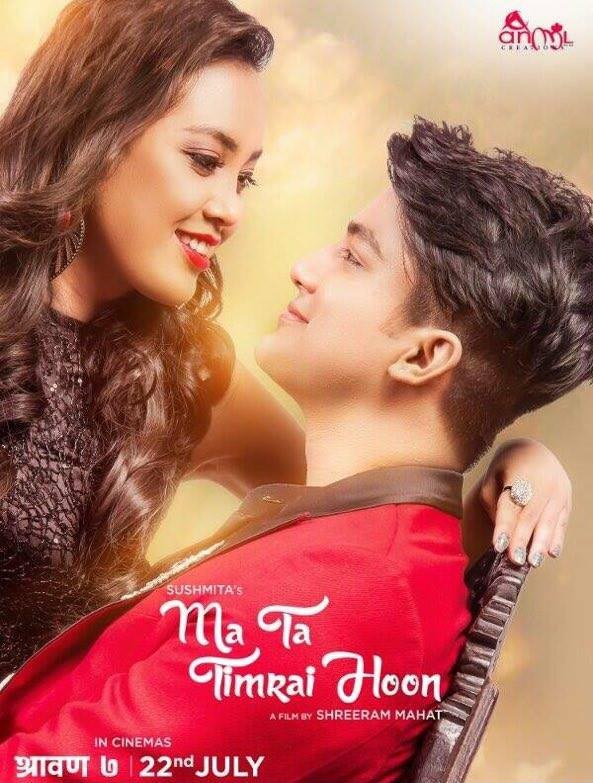 MA TA TIMRAI HOON (2016 / 2073) is the nepali movie in the presentation of Sushmita KC, banner of Anmol KC and a film by Shree Ram Mahat, starring Aakash Shrestha, Jiwan Bhattarai, Jyotshna Yogi, Anupam Shrestha and Sushan Shrestha. Anmol KC Banner Present, a film by Shree Ram Mahat, Sushmita KC's Nepali Movie Ma Ta Timrai Hoon starring new faces Aakash Shrestha , Jyotshna Yogi etc. The movie is scheduled to be release on Shrawan 7, 2073.